It’s not always the destination or the journey that’s memorable. Often, the people you meet make travel writing assignments a most rewarding experience. 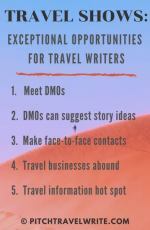 I think engaging with new people is one of the best travel writing perks. And including people in your story is an important technique to make your article more interesting. The more articles you write, the more people you’ll get to meet. You can imagine the wide variety of people I’ve encountered on my assignments, having more than 1,000 published bylines. Here are a few of the people I’ve met on writing assignments, in no particular order. 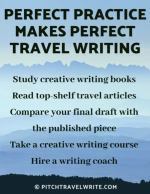 I hope this will inspire you, especially if you’re just breaking into travel writing. One of the most memorable gentlemen I’ve met was Tom Gilzean, who is 97 years old as I write this. He was part of my article about the Royal Mile in Edinburgh. 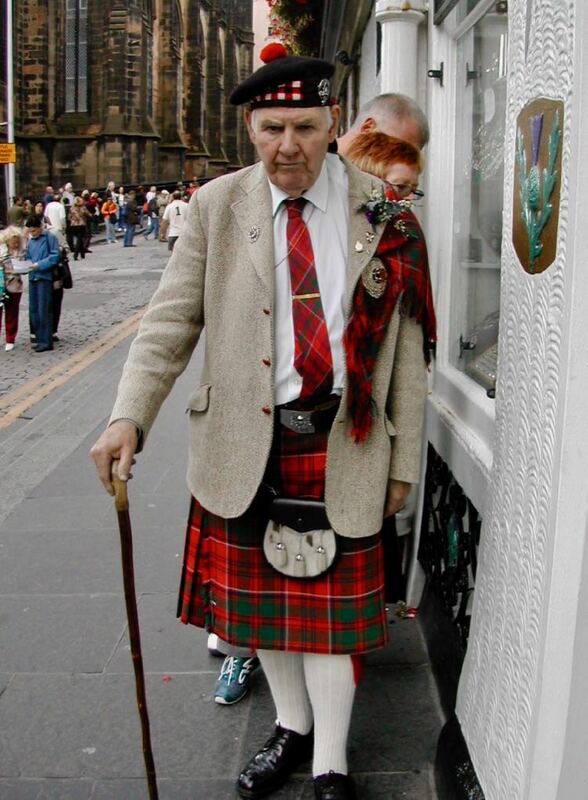 This lively Scotsman was a sprightly 92 when we met on the Royal Mile. He was talking to a shopkeeper in a thick, incomprehensible Scottish brogue, and I cheekily asked if he was speaking English. For my impertinence, I received a stern tongue-in-cheek lecture from this World War II hero, about how he speaks the Queen’s English. 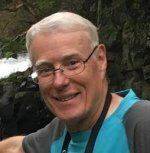 Then Mr. Gilzean was kind enough to walk outside with me and point out things to see along the upper part of the Royal Mile. Travel writers love to soak up local culture wherever they happen to be. 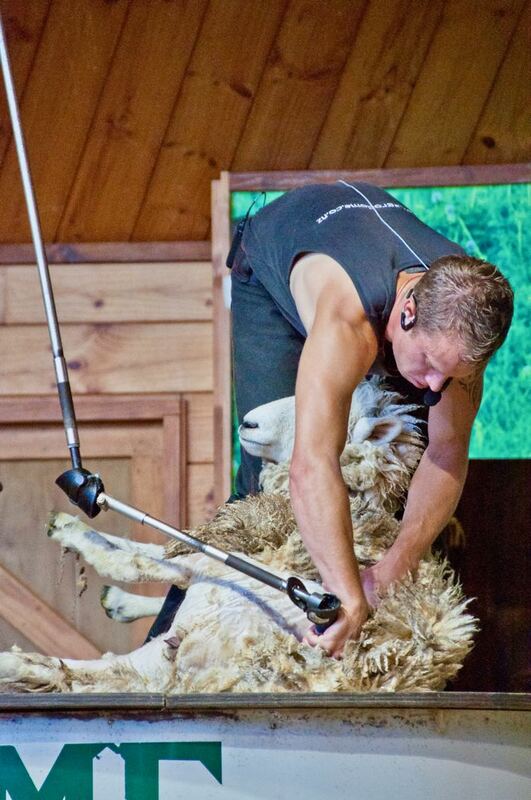 I’ve had memorable conversations with New Zealand sheep shearers at the Agrodome in Rotorua. On the same writing assignments I interviewed Ngahuia Hone-Paku, a Maori Princess, after she performed some Maori songs and dances. And speaking of dancing and culture, I’ve chatted with Native American dancers performing at the Pendleton Round-Up in Oregon, considered the most exciting rodeo in the U.S.
I’ve exchanged cultural views and friendship with the head Abbot at Wat Phra Singh, Chiang Mai’s most historic Buddhist temple, without knowing who he was at the time. Later, I saw the Abbot leading the prayers and chanting while the monks sat down to lunch. Sculptors are fascinating, if for no other reason than I have no artistic talents whatsoever. I am in awe of their ingenious creations. Just because you have no talent in art, doesn’t mean you can’t write an article about it! One highlight of my career was a writing assignment on the Oregon Coast and interviewing artist Angela Pozzi at her roadside studio in Bandon. 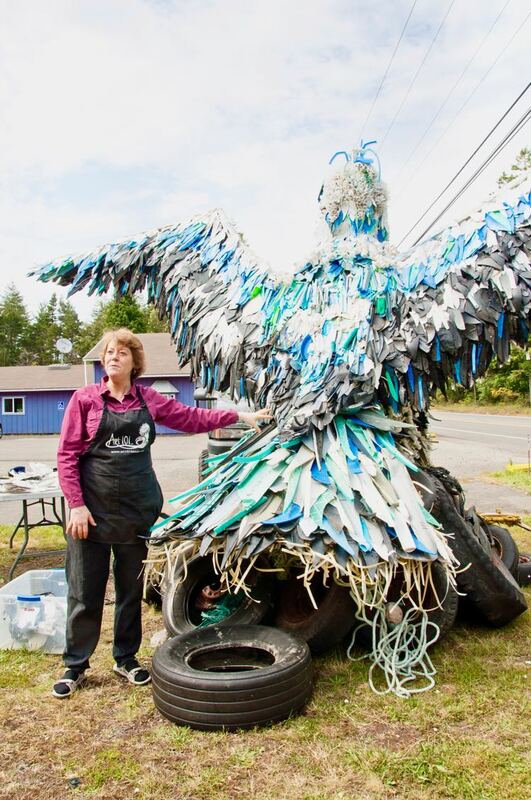 She creates enormous sea life sculptures made from plastic washed up on beaches. You can see her art and learn more at her website: Washed Ashore: Art to Save the Sea. I was also privileged to spend a day with renowned sculptor Al Farrow, in Marin County, San Francisco. This delightful artist has built large and potent recreations of cathedrals, synagogues, and mosques, all with powerful messages at so many different levels. Al’s large studio is a fascinating cross between an arms and munitions depot and a mausoleum, with non-functional guns, small arms, bullets, artillery shells, hand grenades, and other military paraphernalia strewn around—even drawers with human finger bones! Another cool artist I met was Bonsai tree sculptor Daniel Robinson. Daniel toured us around his famous Elandan Gardens, in Port Orchard, Washington State. Daniel’s exquisite work with his bonsai trees remains relatively unknown outside the region but to me is one of Washington State’s finest tourist attractions. Martin Gobsch is a unique sculptor I interviewed in his studio in Erfurt, Germany. He’s one of the few remaining professional marionette puppet makers in the world. His exceptional handcrafted marionettes are fully articulated and represent goblins, fairies, elves, and other characters from renowned German fairy tales. Most of them “perform” in his Puppet Theater. Many of my writing assignments are for the food, wine, and beer genres. In Germany I met with Klaus-Peter Letsch. 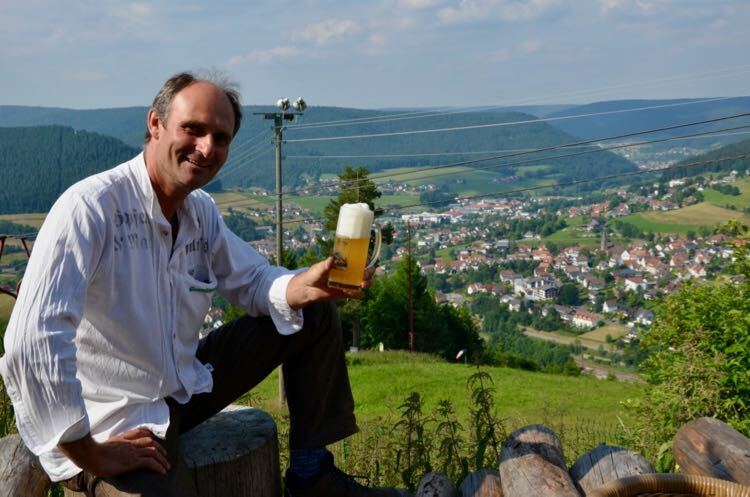 This enthusiastic brewer runs a modest chalet restaurant on one of the dense Black Forest mountaintops. He’s the host, chef, and brewer, and prepares simple, but delicious meals and handcrafted beer, for parched and starving hikers. 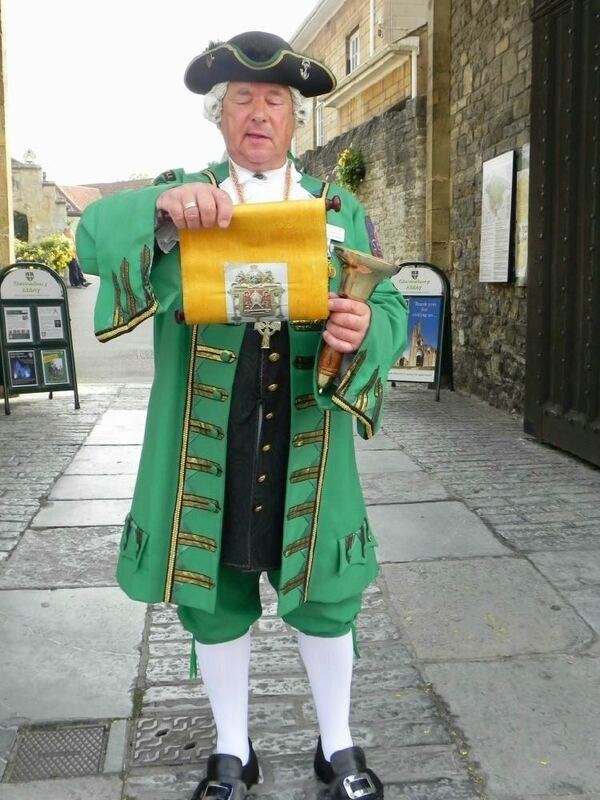 One of the most notable Englishmen I’ve met includes Graham Coles, the Town Crier for that magic town of Glastonbury. After making his “Hear Ye, Hear Ye” public announcements, Graham proceeded to take me on a half-hour tour of some of the village’s most historic sights, providing insights that only a local could give. I’ve mingled with fierce looking British foot soldiers waiting to do battle in the courtyard of Herstmonceaux Castle, at England’s Medieval Festival. Their most memorable line, in broad British accent was “We’ll slaughter those Lancastrian scoom!” Great stuff! Walking among these hundreds of soldiers was like being on a movie set. No, wait . . . movie sets are modelled on scenes like these! Visiting the famous Rosslyn Chapel, Scotland, made famous by Dan Brown’s book, The DaVinci Code, was also a highlight of my travel writing career. The personal tour by the chapel curator and historian was illuminating. Our tour took in the main carvings in the Chapel and the atmospheric basement. He pointed out where Brown’s book diverged from the realities of the chapel. He was also quick to point out that without the tourist boost from the book, they would never have had the funds to restore the chapel to its current glory. 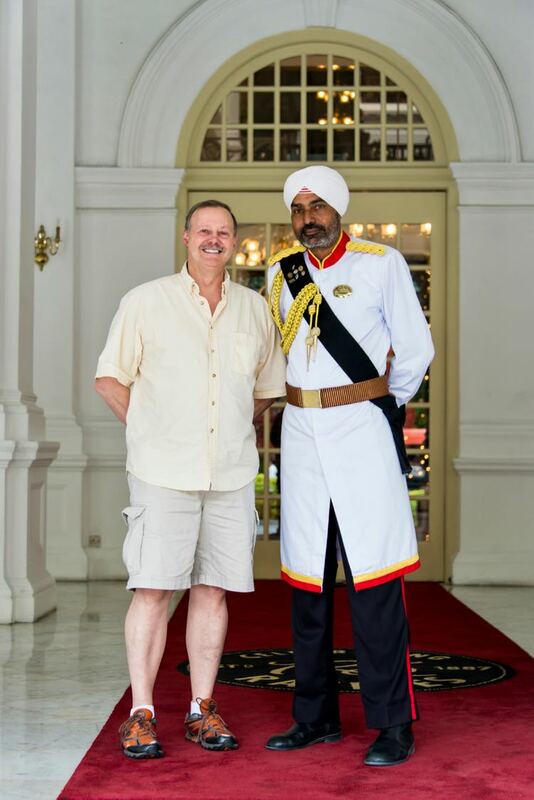 Anyone who visits Singapore’s Raffles Hotel, absolutely must have their photograph taken with the distinguished Sikh doorman. Many people might think this is lame, but this fine gentleman is one of the most photographed people in the world! I couldn’t miss the opportunity. On a military museum writing assignment I was toured around the world’s largest collection of armored vehicles and tanks at the Tank Museum, Bovington, England. My guide, David Fletcher, seemed extremely knowledgeable as he pointed out the tanks strewn around this large museum. At the end of the tour I learned the modest Mr. Fletcher is the world’s leading armored warfare expert! He’s written several dozen books about armor and armored warfare. He’s also been awarded the coveted Member of the British Empire (MBE) for his contributions to the field. David was kind enough to say that my background knowledge in this field was “not bad at all”. High praise indeed from this oracle! Many of the people you meet on your writing assignments are not famous, but they still leave indelible impressions. And too many others to mention here. There are the historic people I’ve researched for my articles. Yes, they’re dead but still memorable! One that stands out above all others is black lawman named Bass Reeves, who I researched and wrote about for American Cowboy Magazine. His arrest record of 3,000 bad guys and bandits is one that would make any modern-day FBI agent green with envy. You can read about this larger-than-life, U.S. Marshall in this article. Meeting such a variety of memorable people like these on my travel writing assignments is always a great thrill. That’s the life of a travel writer. And it’s one of the reasons I’ve stayed in the game for ten rewarding years.